January has exploded and has given way to sew along mayhem. I really can’t complain about it, since I’ve signed myself up for, not one, but four different sew alongs, hosted on 4 of my favorite blogs. I can’t help that I wanted to make all of the patterns that we’re doing (can I ???) Needless to say I’m running a bit behind schedule. It’s mainly because I’ve also been trying to finish my own sewing and knitting projects, as well as working 5 days a week instead of my prior 4. The first sew-along I signed up for is on Gertie’s New Blog for Better Sewing to make the Crepe Wrap Dress by Colette Patterns. I’ve made several of Colette Pattern’s before, so I started with my usual adjustments. I also decided I was going to try my hand at pattern fitting, since it’s what my book ‘Fit for Real People’ does first before cutting any fabric. While that method helped me before I even cut out my muslin fabric, I do have to say, I have more fit issues than I’ve had in the past that needed to be addressed (gaping back, darts too high, sba, lowered neckline and shoulder seams not staying on my shoulders). This has delayed me quite a bit on this sew along, but I’m still plugging ahead. It’s hard to be excited about sewing when there is so much frustration involved about fit issues. I’m learning all about fit, but doing so really slows down a project. And I know the more I do, the better its going to get. It’s just hard sometimes to get up the motivation when you know you’re going to be frustrated before it gets better. Do you guys feel like this sometimes? What do you tell yourselves to get back on the horse? The next pattern is the Burda’s High Waisted Trouser #127 hosted by The Cupcake Goddess. I am loving Burda more and more. We were MFEO, it seems. I rarely ever have to alter their patterns besides some (major) shortening, here and there. And this trouser pattern was no different, much to my surprise. I made muslin #1 a week ago, and the hip and waist was just gaping and massive, overall make me look like a clown. I took a day to think over the adjustments I needed to make, and ended up taking one long vertical tuck out of the front and back next to the grainline marking, hoping this would be a good start. So I motivated myself again over the weekend and made up muslin #2. To my utter surprise, I had no major issues to fix, but little tweaks here and there, which are mainly just preference related. Insert squeals of delight *here*. I reduced the back inseam from the knee up, in order to get rid of some extra fabric, and I also made the legs of the pants a bit less wide, since mine looked just a bit too wide for me. But everything else fit like a dream! No pulling, or bunching in wierd spots, and no real gaping. I couldn’t be happier with this pattern and can now move forward with the group to cut out the actual fabric tomorrow night. Hip Hip for Burda & The Cupcake Goddess! 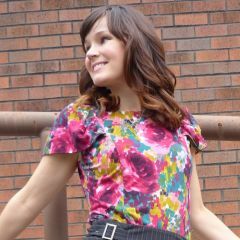 The third sew along is for the Pendrell Blouse which is hosted and created by Tasia of Sewaholic. This is a really cute, modern blouse and I’m itching to cut out my fabric for it. I haven’t made a muslin for this pattern yet, and I’m actually debating doing so. It has a lot of ease built into the pattern so it won’t be too small, and its also drafted to pull over the head so there’s no closures to figure out either. So I may be winging it and just cutting out fabric and sewing straight away. :) Wish me luck! 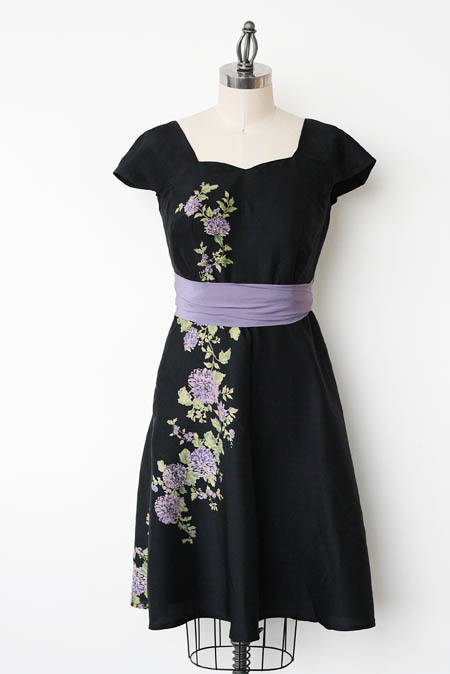 The fourth and final sew along of the month is the Swing Dress which is hosted by Casey of Elegant Musings. So far Casey has been talking about fabric choices, pattern prep, supplies needed, and interfacings. I’m waiting for this pattern in the mail so I really can’t work on a muslin yet or figure out fitting issues (which I’m a bit thankful for due to the other sew alongs). But I do have to say I went out shopping for fabric yesterday at my local Vogue store and got some gorgeous silk fabric for only $5.99 a yard to be made for this dress. I can’t wait to get started on this dress, it looks too cute! Let’s hear it for all the awesome sewers & bloggers taking on the sew-along challenge?! Very cool! I can see that you are very busy with sewing projects right now, but re. Burda, I have quite a stash of early 2000s-era Burdas, if you ever want to flip through and see if anything strikes your fancy. I love Burda too, but my desire to sew always got overtaken by my artwork time… so I have a ton of back issues that were never used!